So we’re major geeks, seriously we love video games, Dr. Who, and of course STAR WARS! So when my 9 year old (Princess) asked for a “The Force Awakens” birthday party I was ABSOLUTELY giddy! 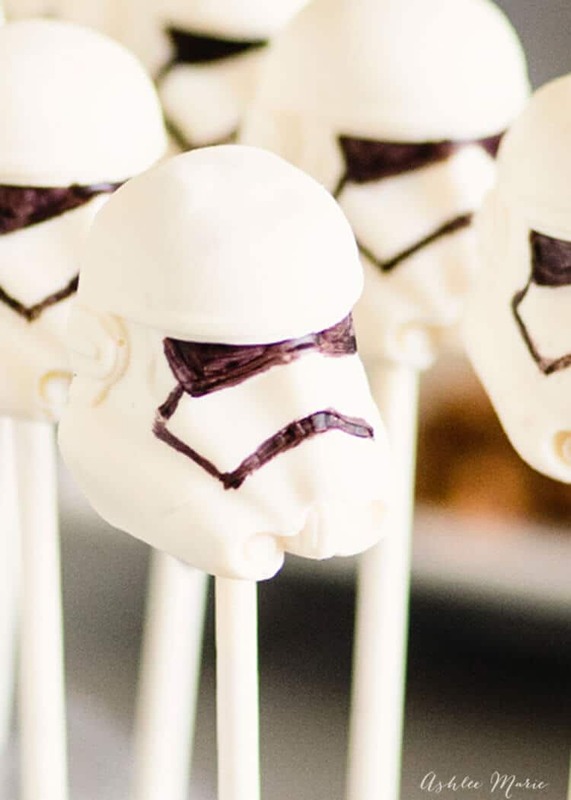 I mean who DOESN’T want an awesome Star Wars birthday party! ANYWAY today is the first of MANY posts from that rockin party! 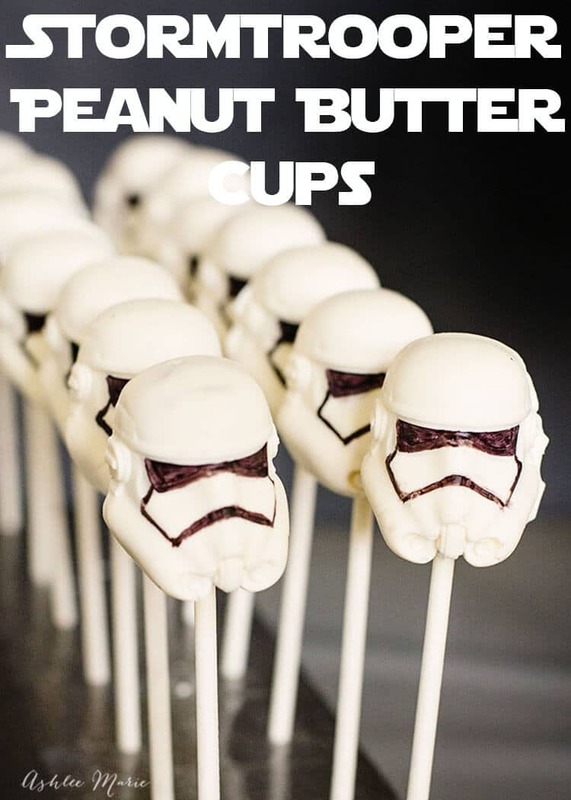 I present – Stormtrooper Peanut Butter Cups! 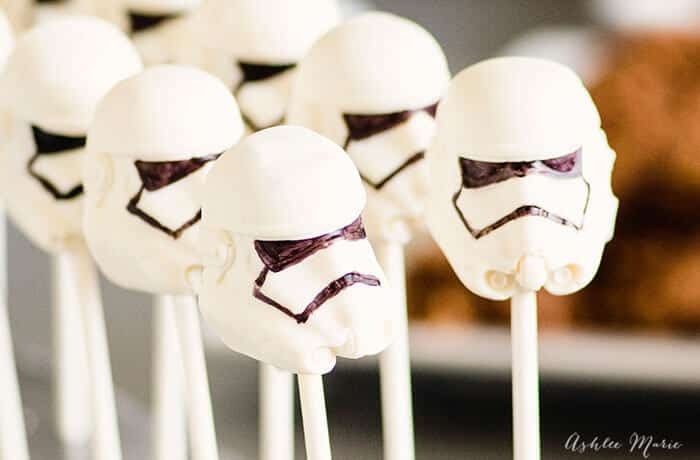 yup – these awesome white chocolate stormtrooper heads are filled with a delicious peanut butter filling – seriously divine! AND I teach you all about how to make them HERE in this video! And DONE! I stuck them on sticks to give them height for the party and they look better facing front… but you can just serve them as is as well. Good thing I made so many they were a HUGE hit and I kept refilling the table!